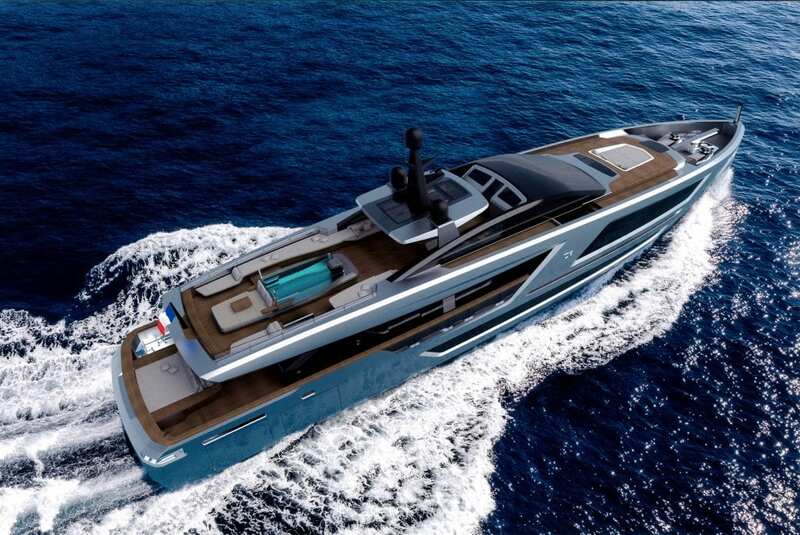 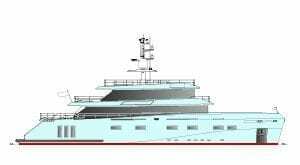 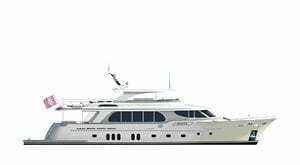 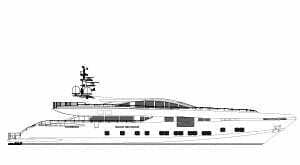 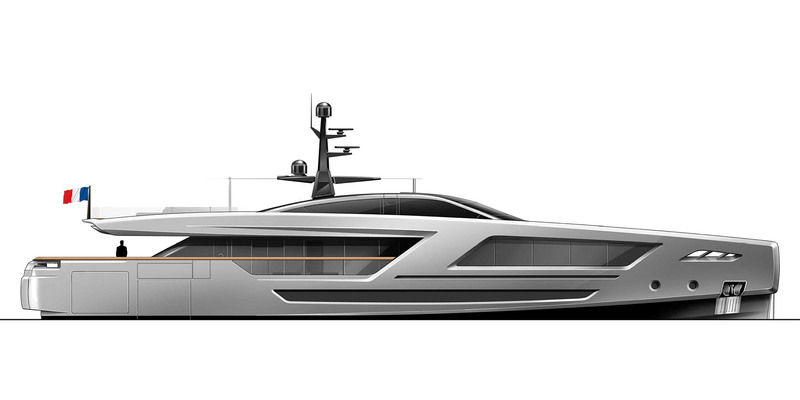 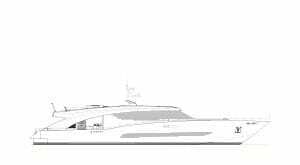 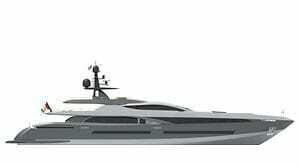 M/Y PANAM is the fifth Fuoriserie motor yacht by CCN following 50 m MY Elsea, 40 m MY Kanga, 27 m MY Freedom, and 31 m MY Vanadis, and marks a new prestigious collaboration between CCN and leading international designers. 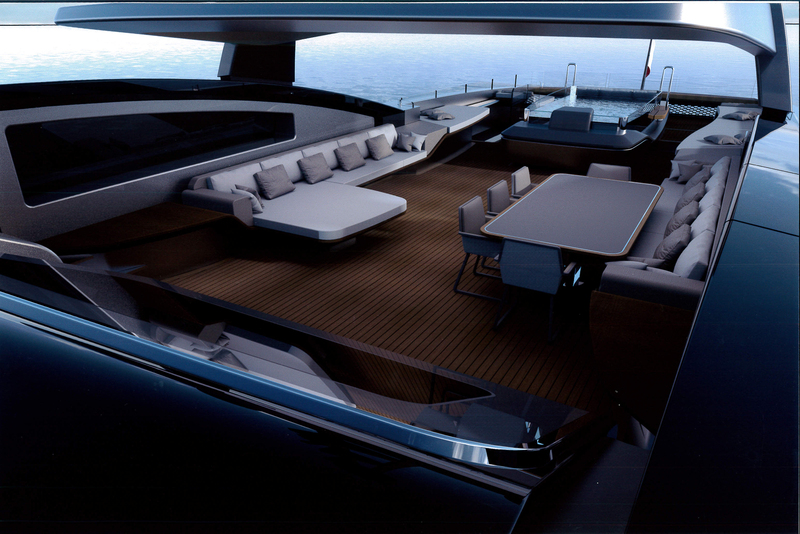 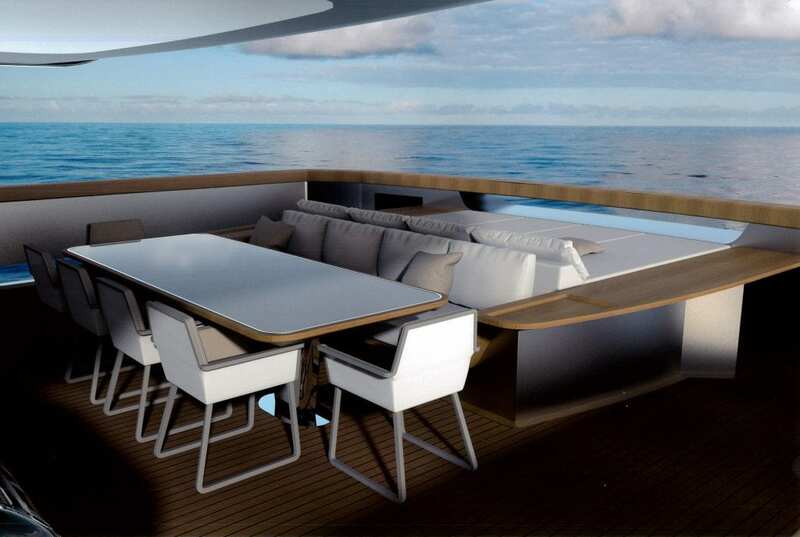 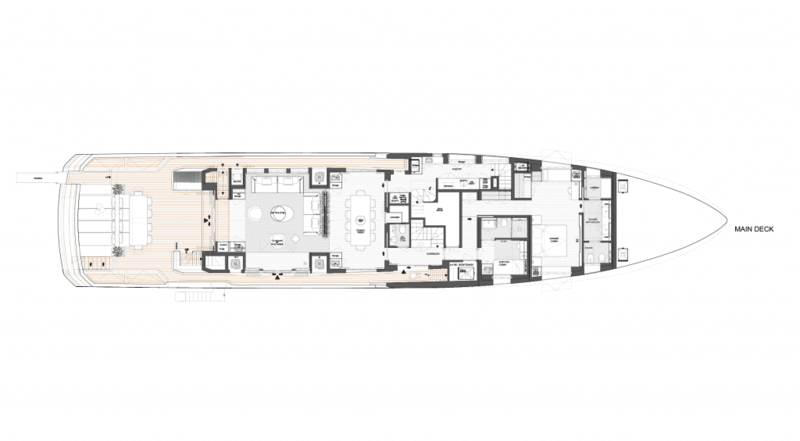 Indeed, this yacht has been penciled by Francesco Paszkowski Design, who took care of both exteriors and interiors, the latter in cooperation with Margherita Casprini. 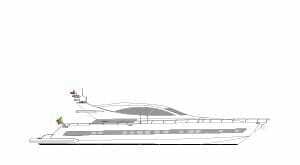 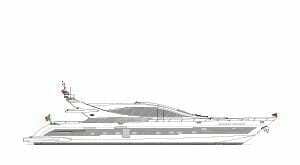 KaMeWa water-jet engines, which push her up to a maximum speed of 31 knots and a pleasant cruising speed of 25. 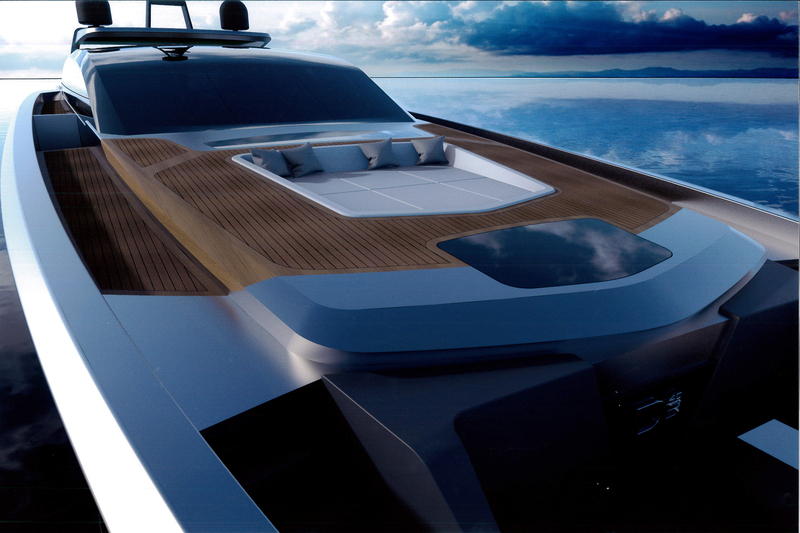 All technical components, the mast and the roll bar are in carbon fiber, so as to reduce overall weight. 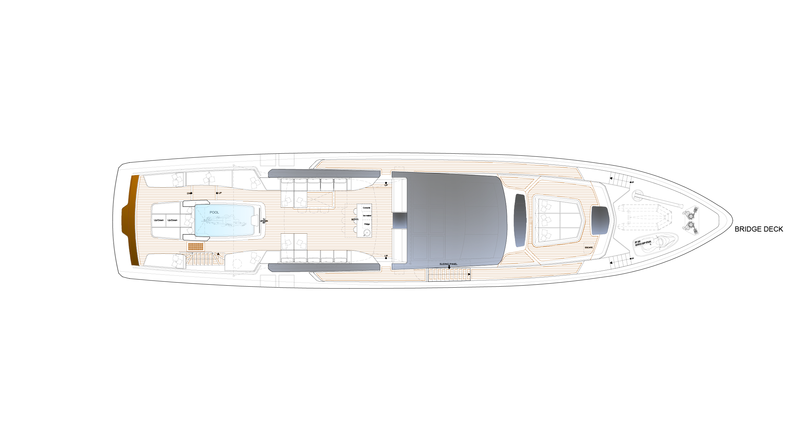 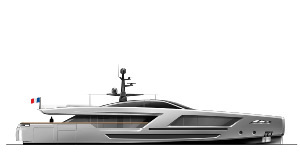 The straight bow endows this yacht with a a modern, dynamic and powerful look, further enhanced by the large irregular-shape windows that let plenty of natural light into the interior saloon. 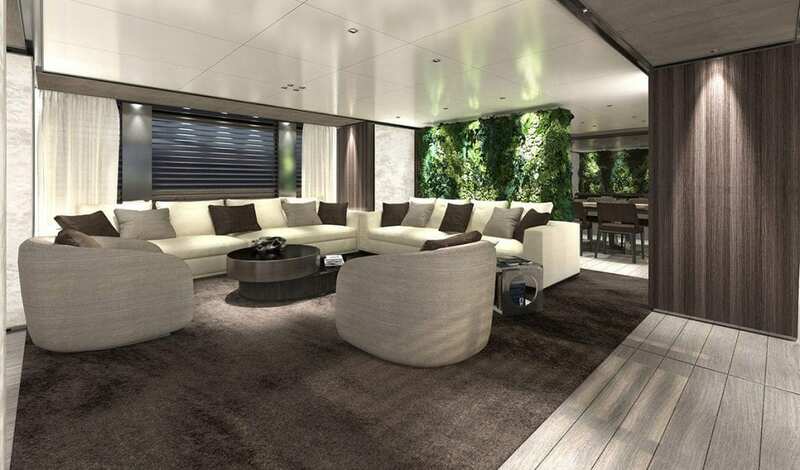 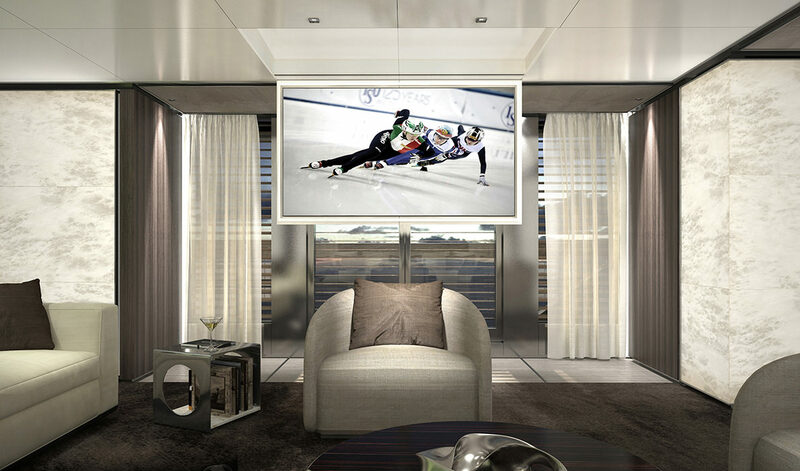 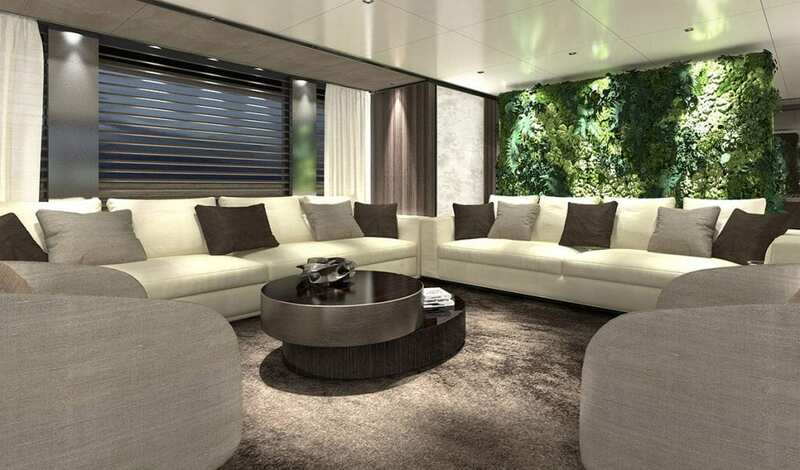 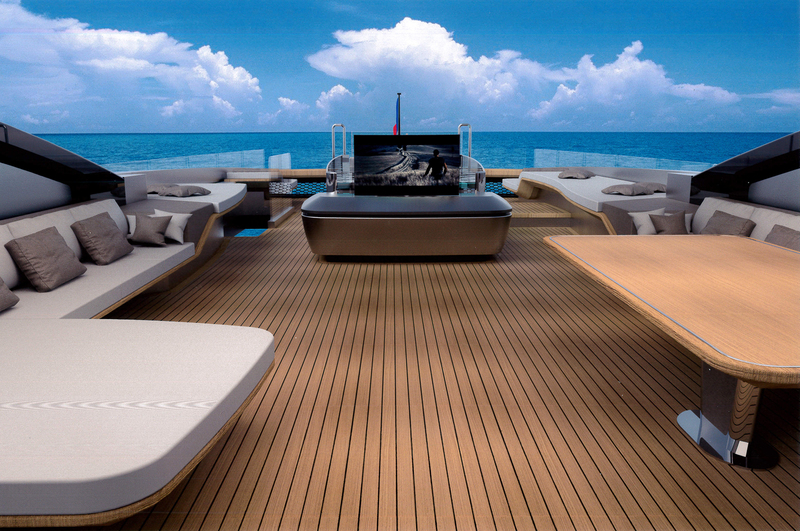 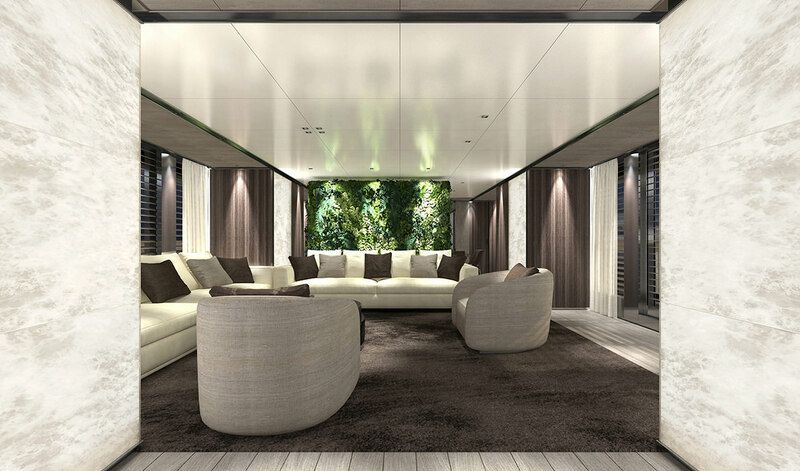 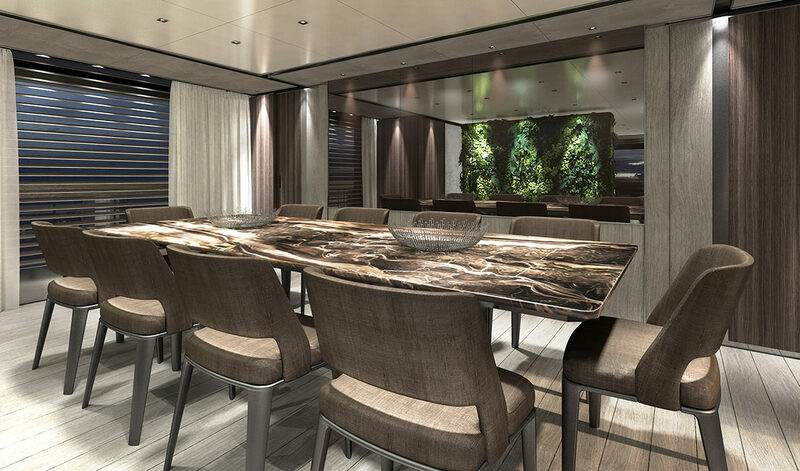 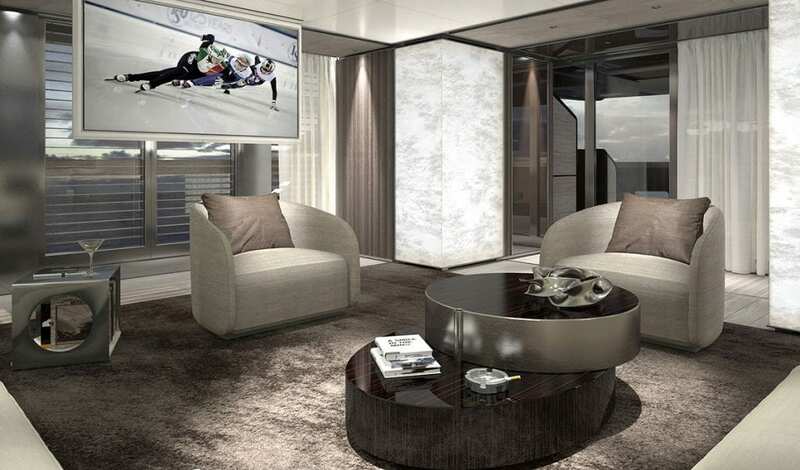 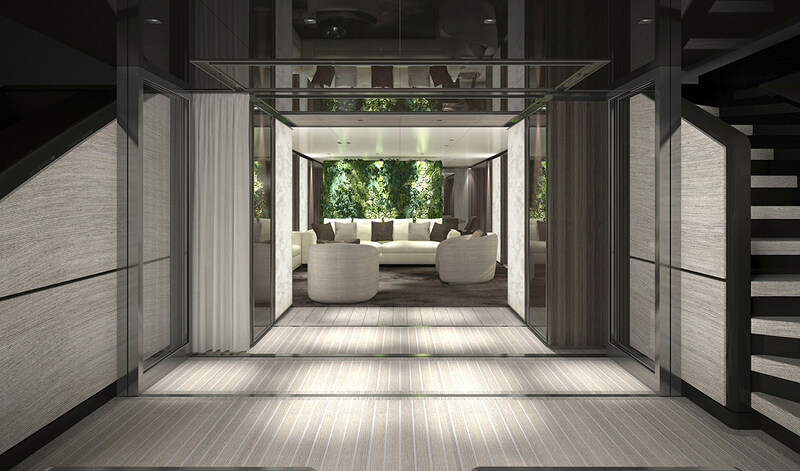 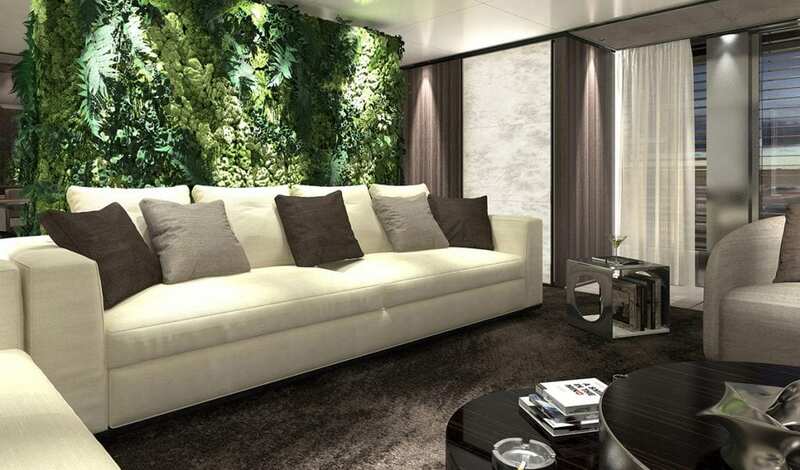 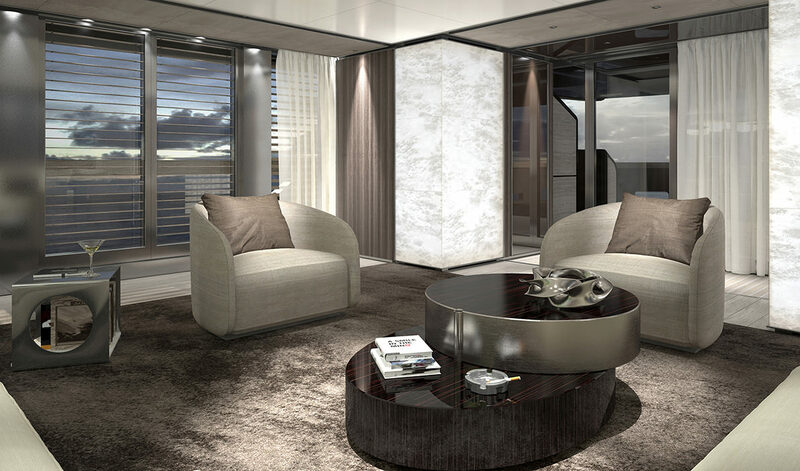 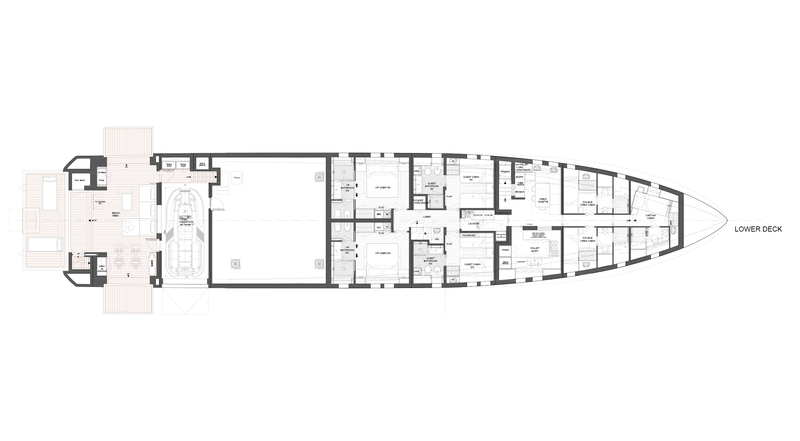 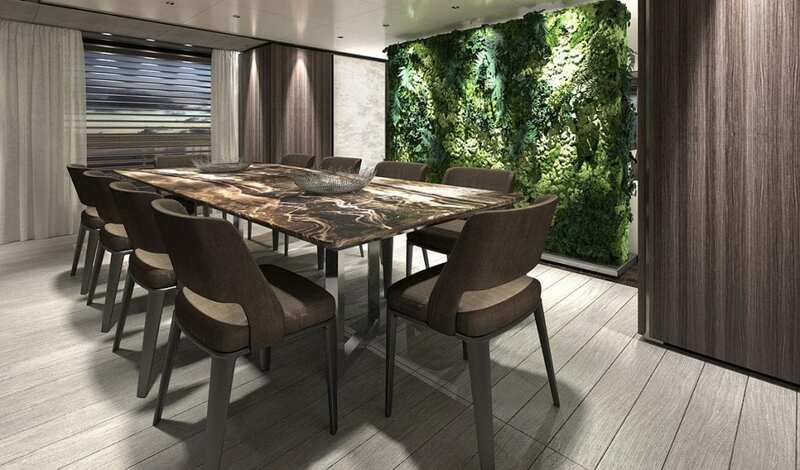 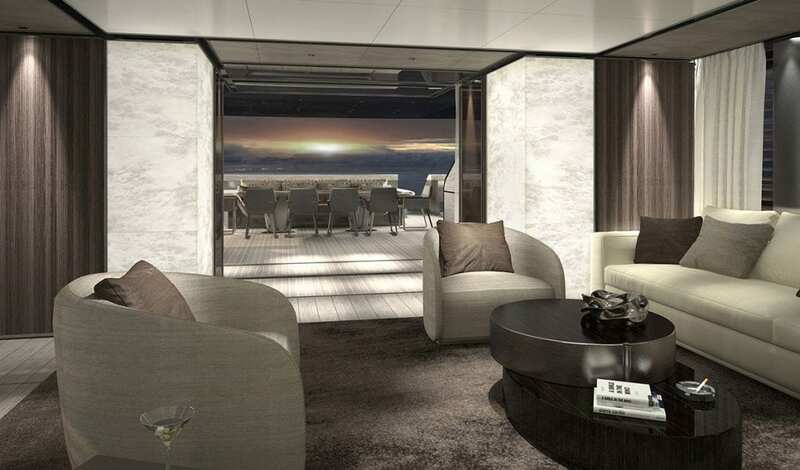 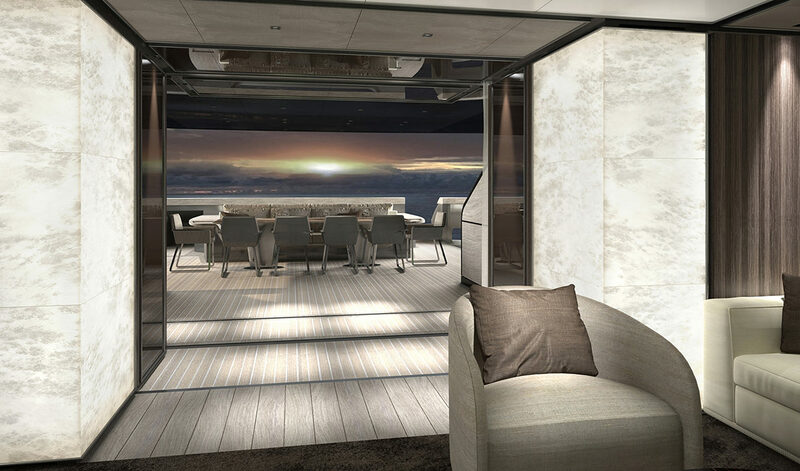 The layout features a large salon on the main deck, separate from the dining area thanks to a “green” wall. 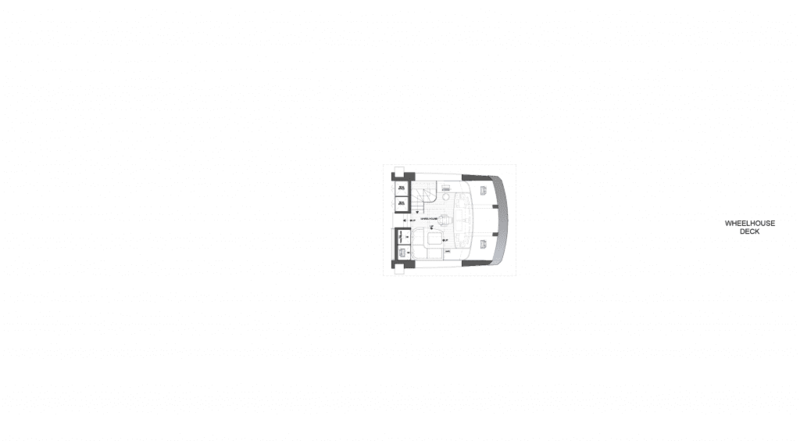 Forward, the full-beam master suite is fitted with a walk-in wardrobe and a bathroom with hammam. 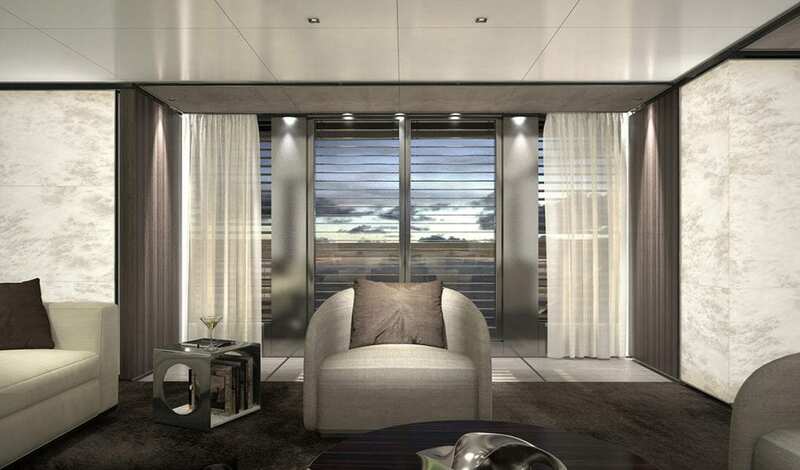 Two folding balconies open up on the sides. 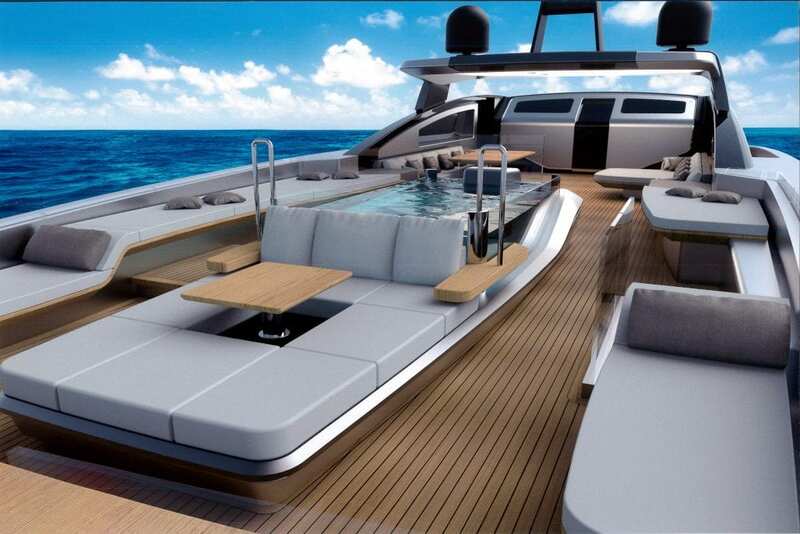 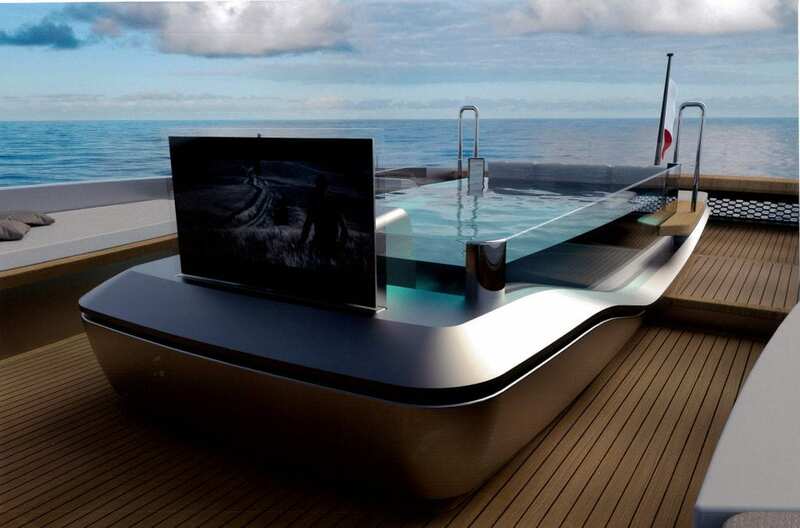 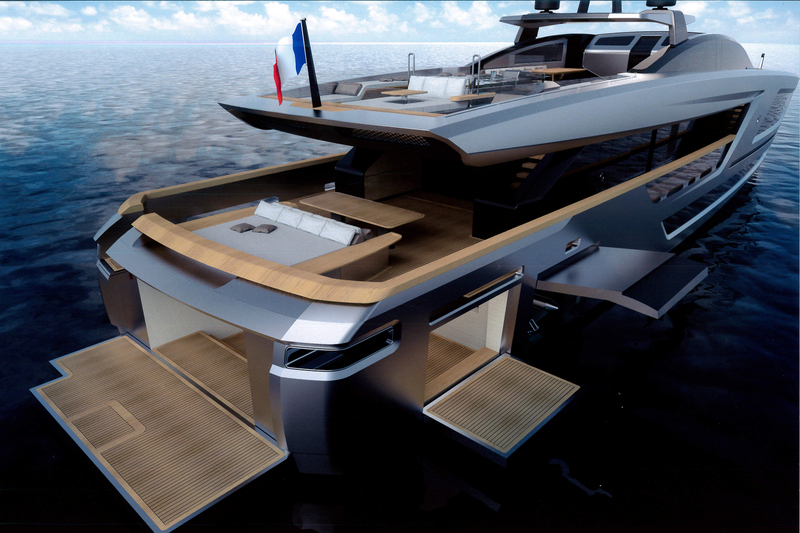 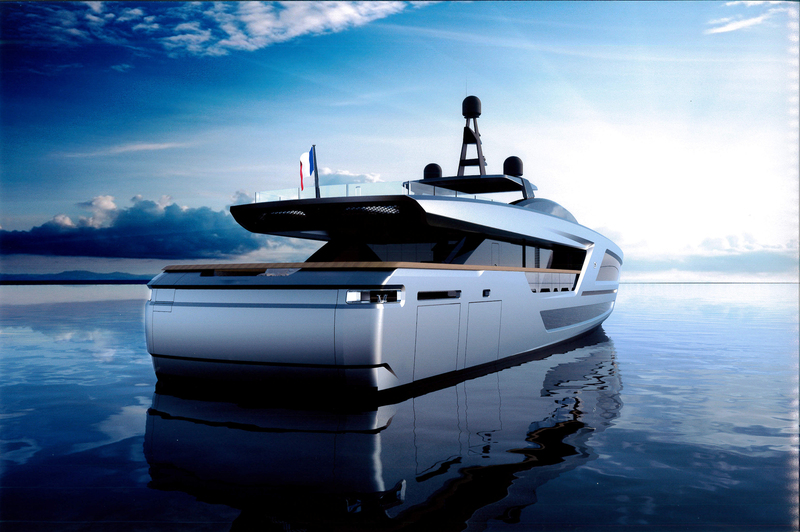 The 65 sq m fly bridge features a large aft custom-made pool with counter current swimming system, while a sunbathing area can be found at the bow.